I am a member of the Netflix #StreamTeam. This post is in partnership with them. Regardless, all opinions are my own. 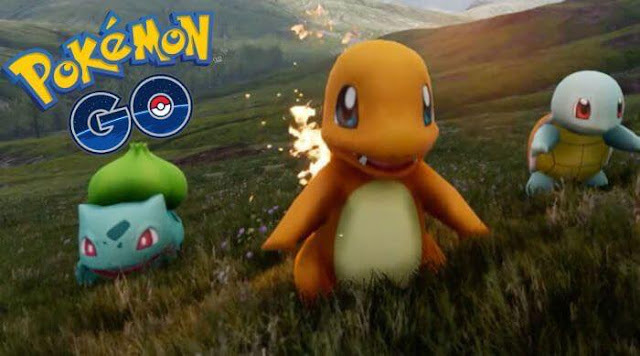 Unless you have been living under a rock, then you have probably heard about the new craze in gaming called Pokémon Go. My husband and I have been having a blast playing it for a little over a week now. we have been to our local park almost every day, Stone Mountain, and have plans to visit Zoo Atlanta. Some may want to pick on it and say they are adults so they don't have time for it. We play at our leisure. My husband was on vacation last week, so we probably played it more than we usually would. We are actually considering getting rid of our gym memberships because of it. We went to our local park a few evenings ago and walked FOUR miles! My legs were sore the next day, but I still wanted to continue playing. You have to be smart when you play. You still have to be aware of your surroundings. The app vibrates when a Pokémon is near, so there is no need to just stare down at your phone. Don't play while you drive. Duh. Be smart when you go to a park. No drugs or alcohol. Don't vandalize. If you are going to do those things, we have set up a watch dog group and you will get caught. There are bad people every where, but there are also good people too. And mostly what I have seen is the good. Teens, people my age with young kids, older parents, and even grandparents all bonding over this one thing we all have in common. It really has been amazing. My children are too young to actually play, but they watch me while I catch Pokémon, they like to have me read about the different types to them, and we have been catching up on episodes of Pokemon thanks to Netflix. 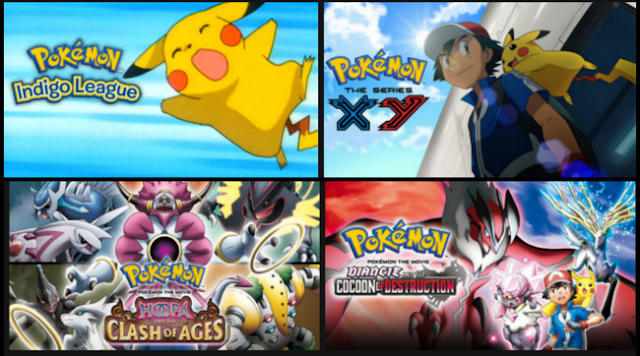 Currently we have been watching Pokémon: Indigo League, but Pokémon: XY, Pokémon the Movie: Hoopa and the Clash of Ages, and Pokémon the Movie: Diancie and the Cocoon of Destruction are currently available to stream. If pokémon catching isn't really your thing, check these titles out. Do you play Pokémon Go? What do you watch with your kids on Netflix? Have they learned something surprising? I've never played Pokemon Go! But I love watching all kinds of shows on Netflix! I have not tried Pokémon Go yet, but certainly read or saw on TV about it. I think it would be fun though and my kids always liked Pokemon! Netflix has cute shows too. This was a cute craze while it lasted. I think my kids loved the updated way to play Pokemon.